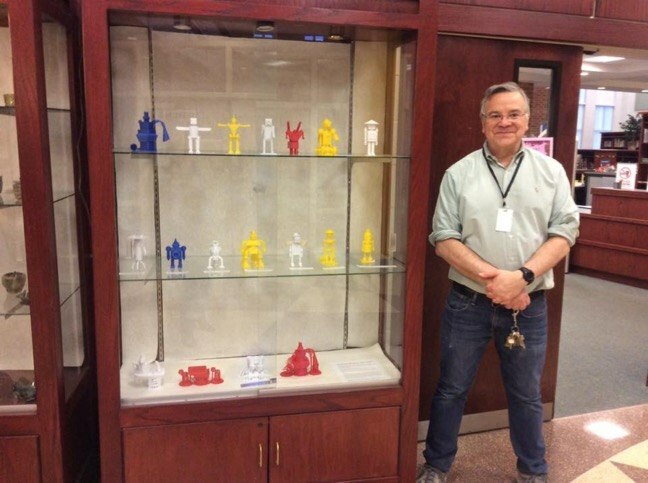 Added by Bill Bowman on March 21, 2019. 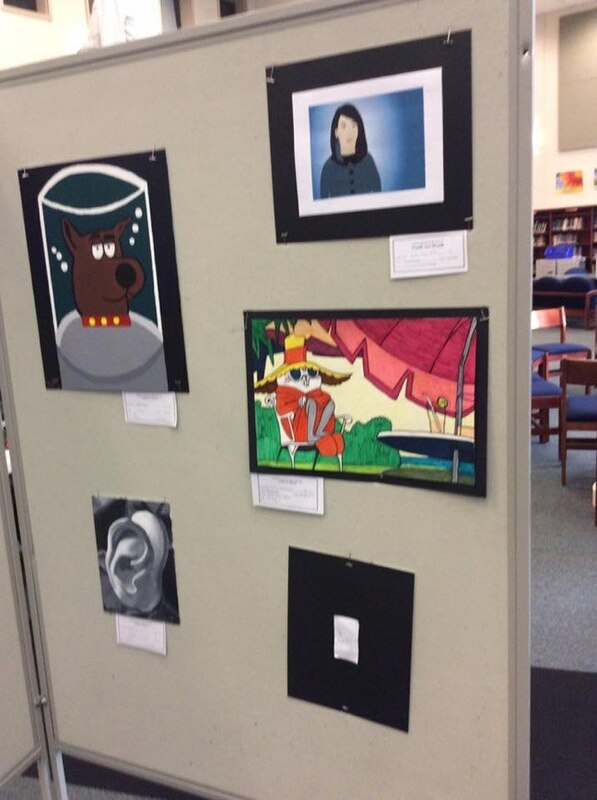 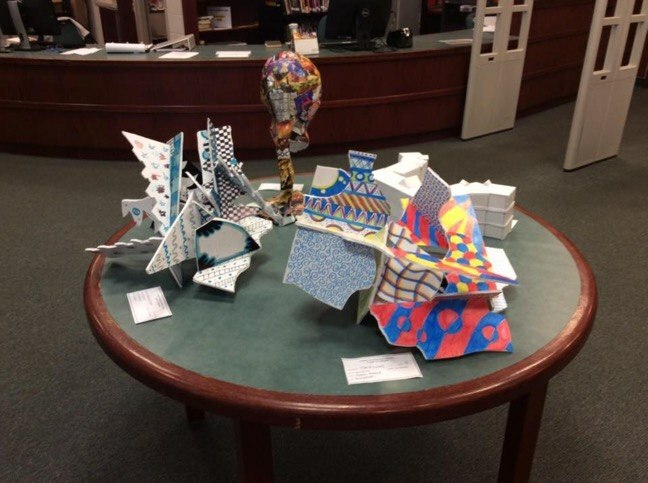 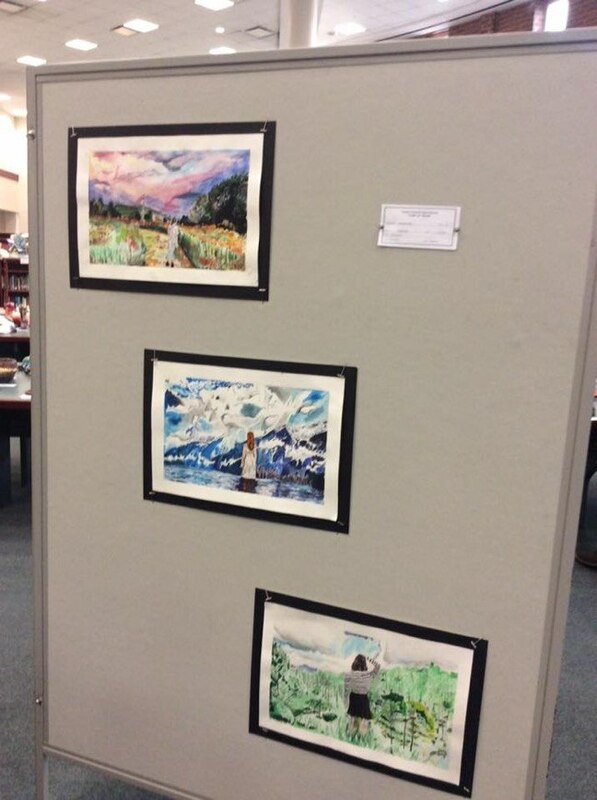 Some of the pieces on display at the annual Franklin High School Youth Arts Show, celebrating Youth Arts Month. 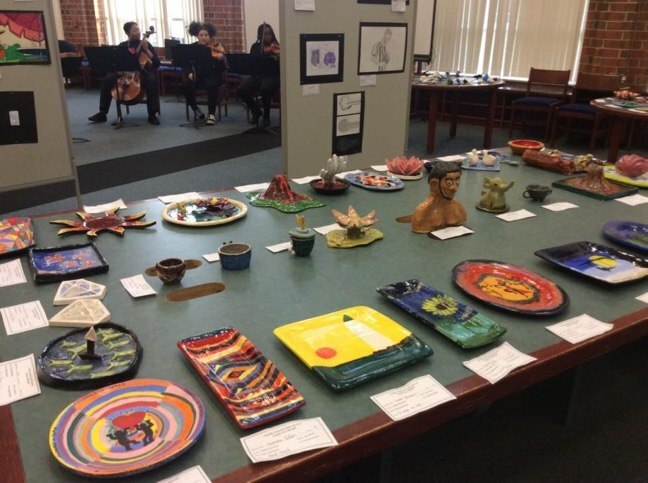 Arts are alive and more than well as evidenced March 20 at Franklin High School’s Youth Arts Show, celebrating Youth Arts Month. 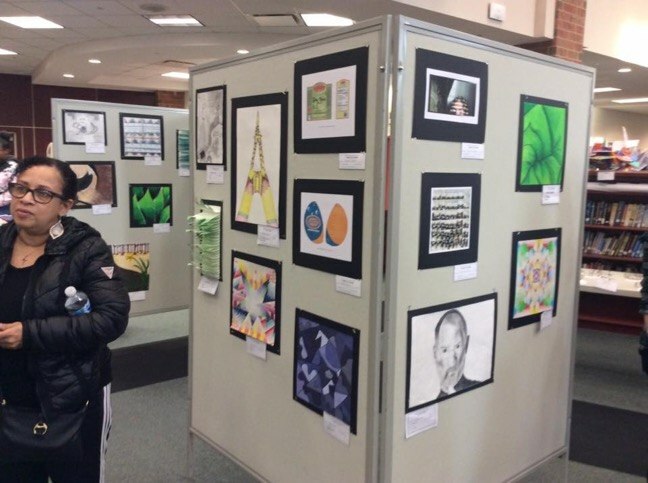 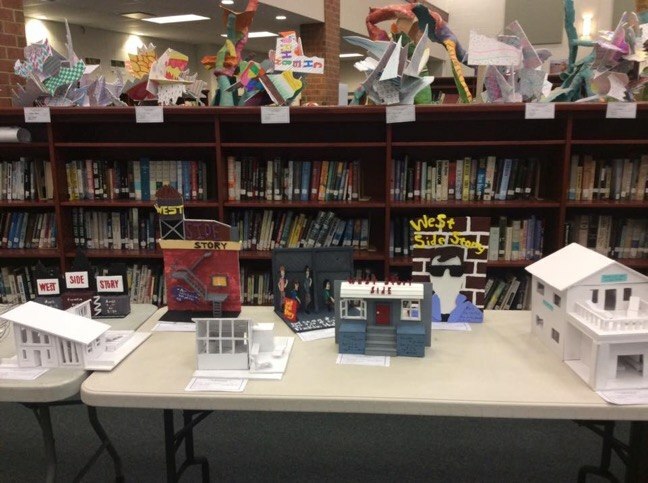 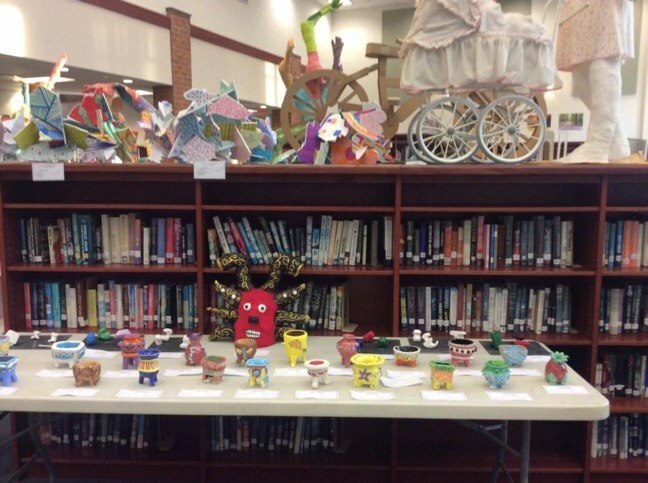 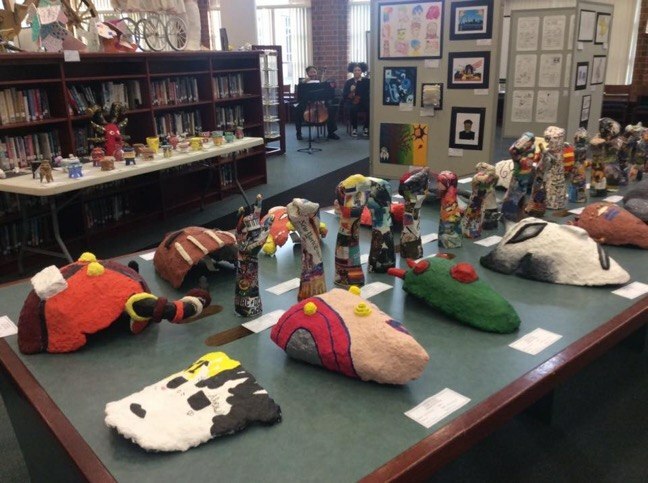 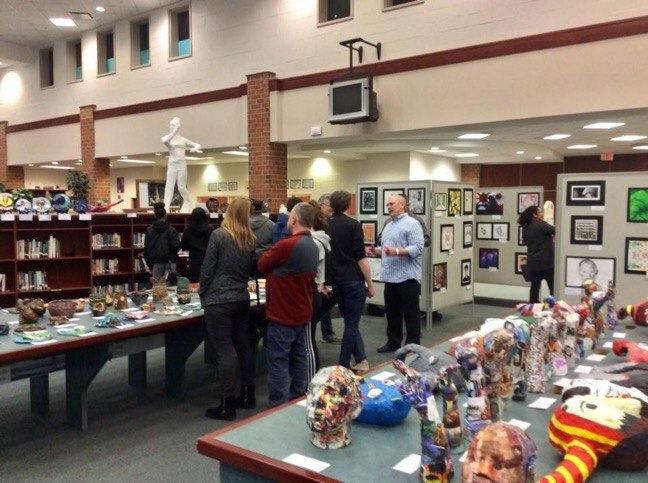 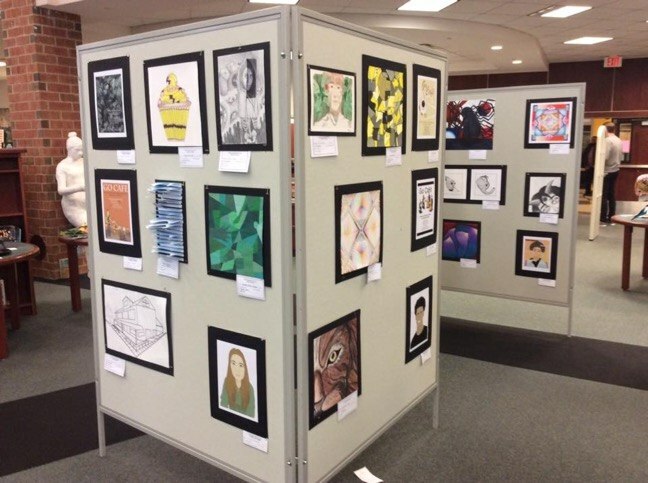 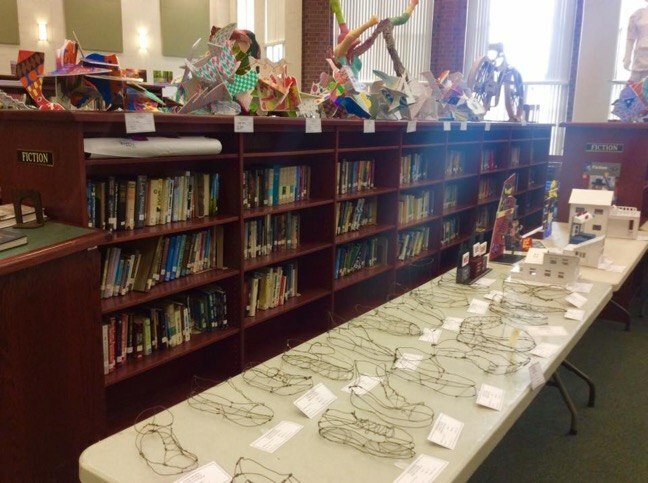 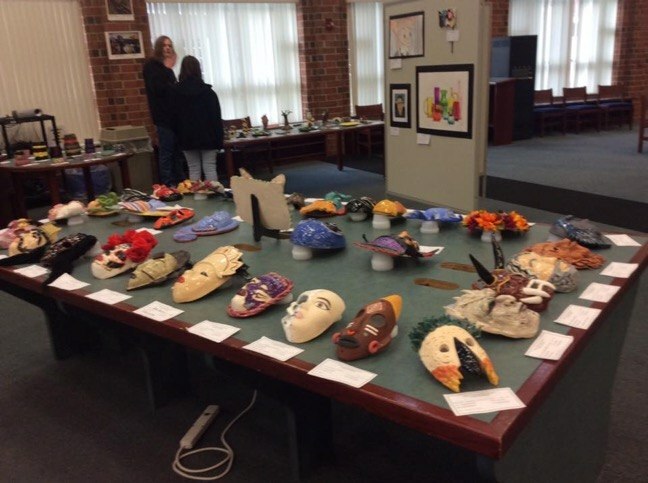 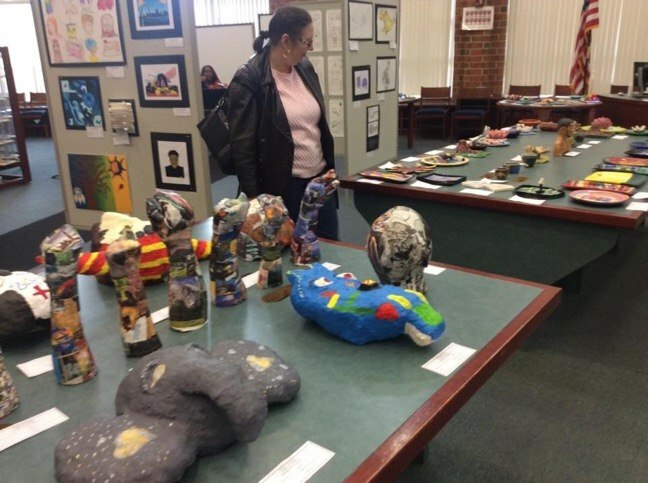 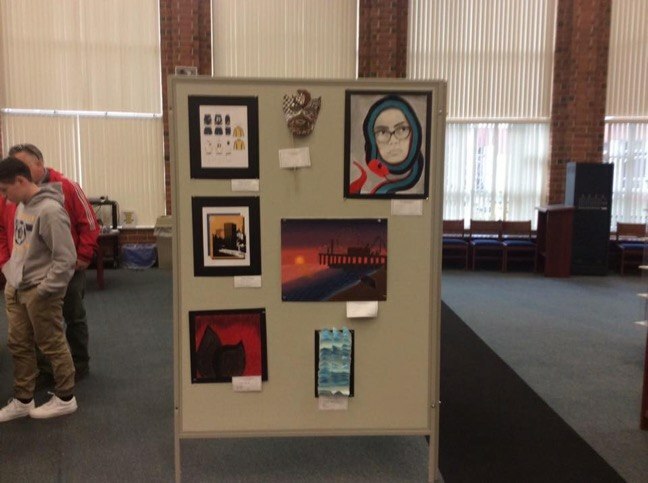 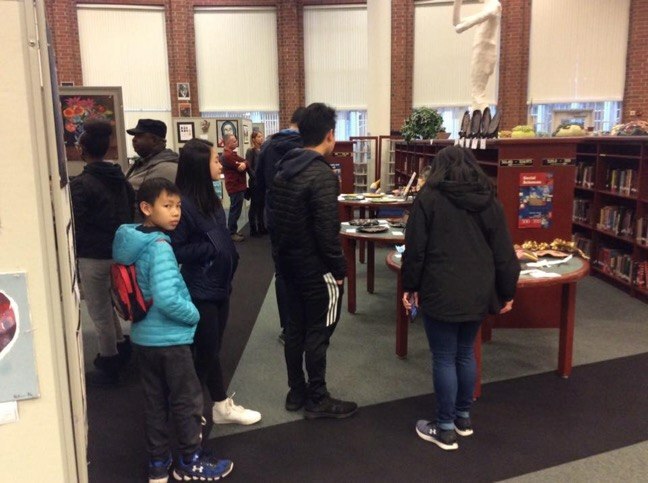 Accompanied by a student string quartet, visual, fine and performing arts were represented by 9th through 12th Grade students in areas of painting, drawing, ceramics, graphic design, printmaking, photography, 3-D, set design, animation and cartoons and sculpture. 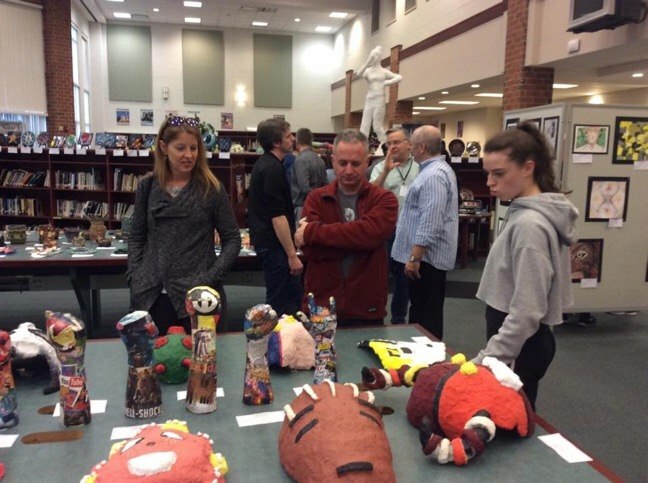 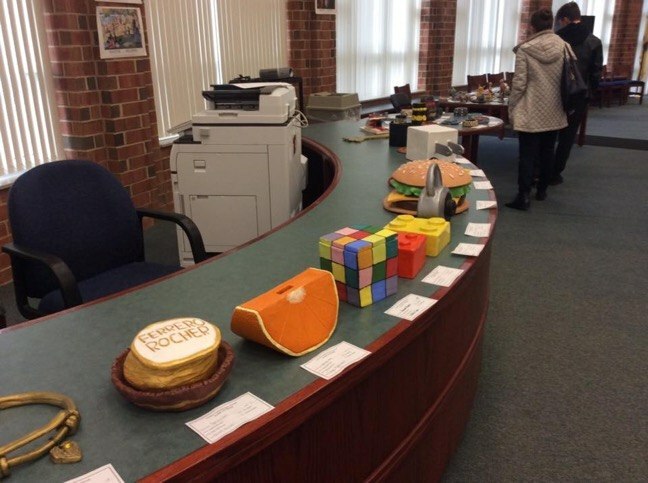 With nine fine arts teachers on staff, every class and every teacher presented a sampling of their work. 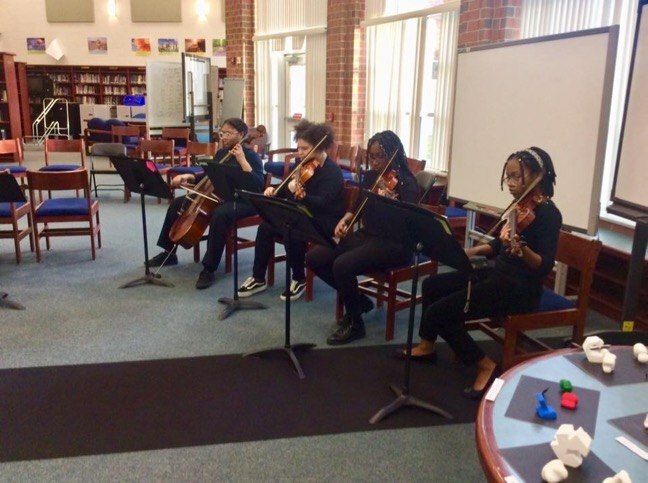 “We also wanted to join music and the performing arts with the visual, so we are happy to have these students in the string quartet here, as well,” he said. 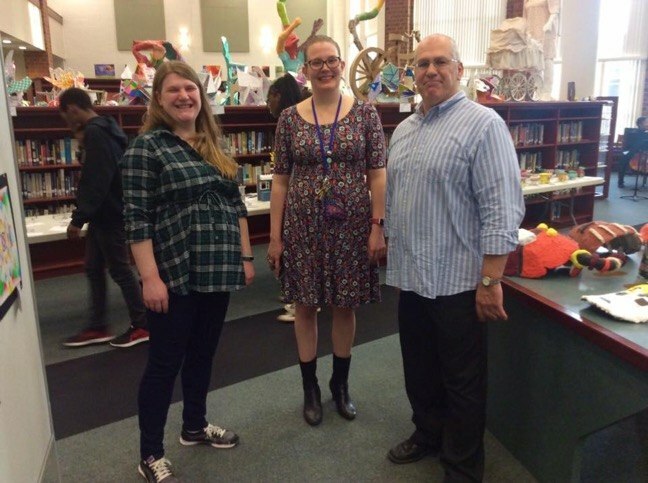 “Diversity also extends to teachers, geographically spanning Texas to New York, as well as locals from the immediate area,” he said. 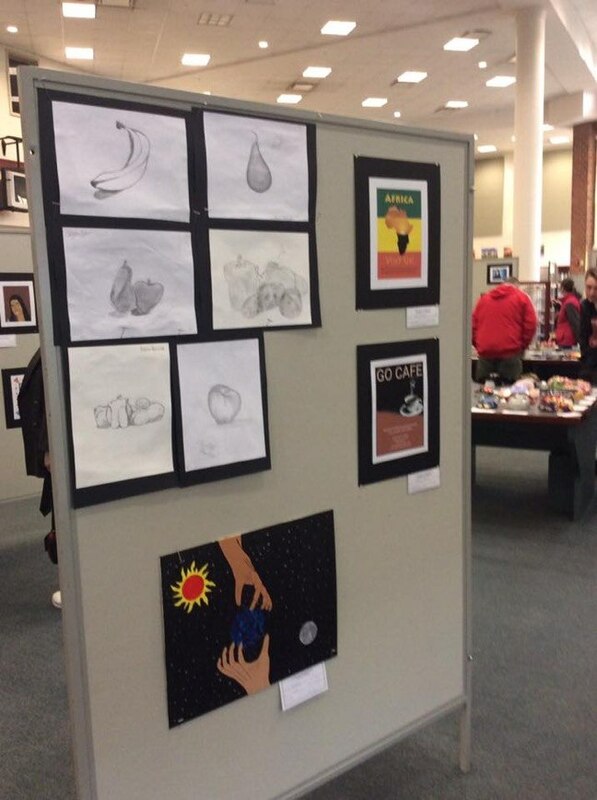 “It’s about building skills and creative visualization,” said Dylan Carroll, teacher of Honors Arts, which is comprised of painting, drawing and print-making. 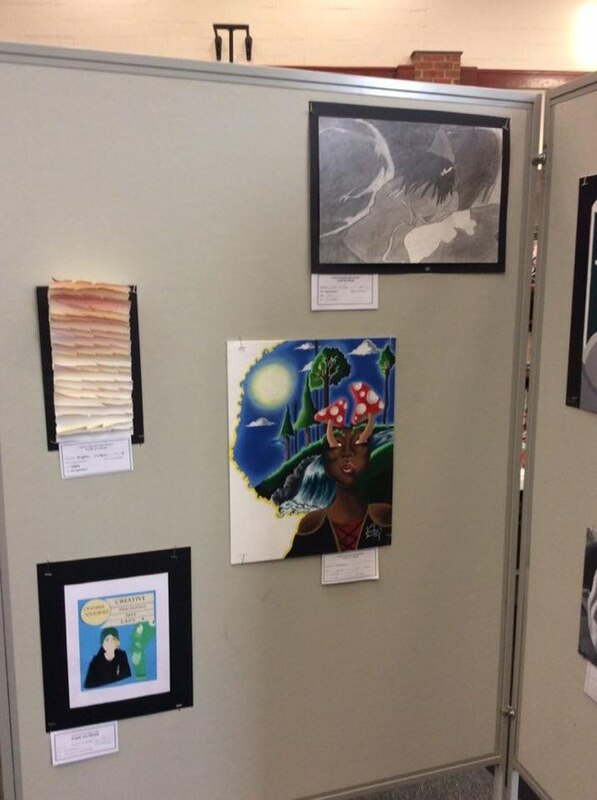 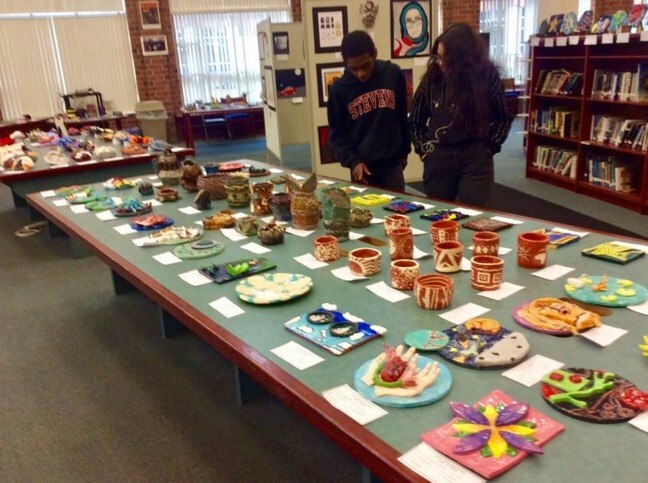 “Franklin High School is a real place where an artistic student can shine and grow,” he said.